Why do I need to hire an architect? With a qualified and experienced architect and interior designer, you will get client-centered service which means he/she will inquire about the number of family members who are supposed to live in that house, your taste and living style and would make sure that the architecture and design of your house is completely in accordance with your living needs. Besides, an architect’s service extends beyond the creation of set of drawings, he/she utilizes special skills knowledge and experience to make a home, worth living place for you. Without a customized living space, you cannot make your home building dreams come true and that can be done by a professional architect. The architects not just provide value for the money you spend on hiring their services by creating awesome designs for you but also pay special attention by expert use of space, watchful selection of materials, energy efficiency, low running-maintenance costs and much more to help you save money not only at the time of investment but also in the long haul. By hiring a qualified and licensed architect, you also get free from the hassle of complex procedures that involve legal aspects; the aspects which include planning permission, building regulations and much more. You need not running after the concerned departments for getting your layout plan approved or for getting any other special design additions or alterations passed if you have hired the services of a professional construction company. 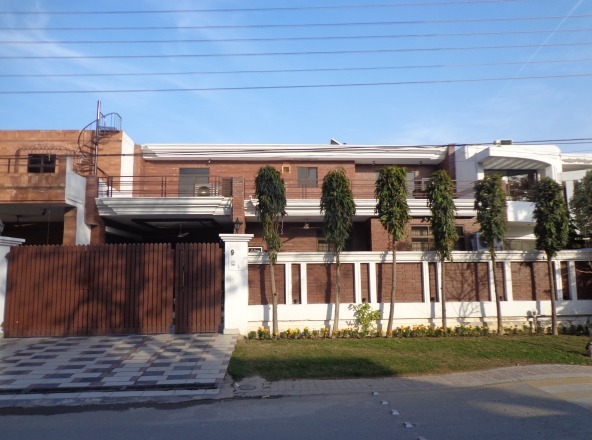 The modern house construction designs in Lahore are of new and unconventional styles so they require special legal permissions from concerned for completion. No matter you idealize a traditional or contemporary home design, your architect has the ability to lift your project out of the ordinary. He/she makes maximum use of his creativity and imagination to bring into existence, the best possible house for you. Moreover, a qualified architect and interior designer always has a concept behind every design curve in your home so you should allow him/her make maximum use of their creativity to utilize your piece of land in the best possible way.